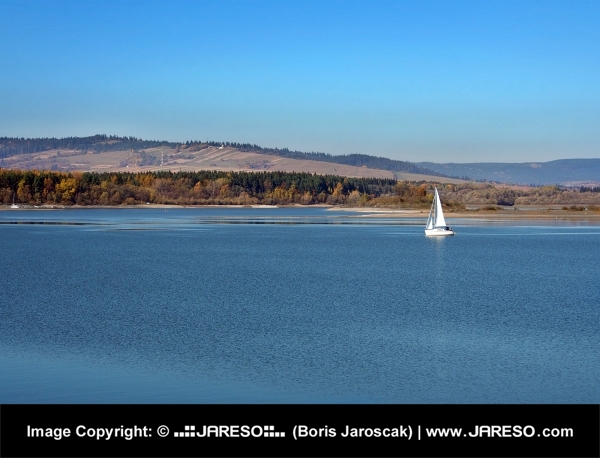 Autumn view portraying deep waters of Orava reservoir (Oravská Priehrada) with yacht and forests in the distance. 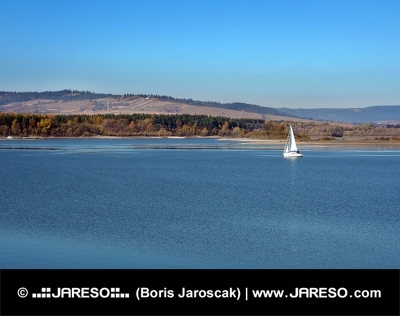 Orava reservoir is located near Namestovo town in northernmost Slovakia and it is protected by the Horna Orava Protected Landscape Area (Chránená krajinná oblasť Horná Orava). Would you like to use this thumbnail photography with the maximum size of 600x458 pixels on your websites and online projects for free of charge? You can do so without any worry and completely legally. The only prerequisite is placement of an active (clickable) link back to this site (jareso.com) somewhere on your website where this photo will be used. 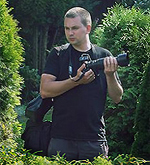 By downloading this free lower resolution image in the thumbnail size of 600x458 pixels you absolutely agree to use it in comply with copyright law and required rules.